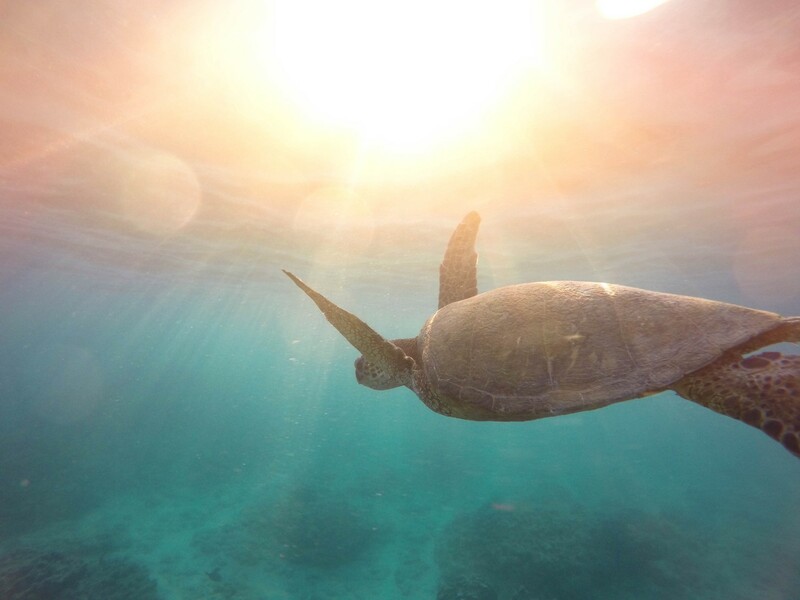 How a trip to the Great Barrier Reef changed my life. We were living in Sydney, Australia at the time. And, as many residents will attest to, Sydney is not an easy city to live in on one income (in this case, my husband’s). So, I was working … not quite full-time hours, but close. And not too far from home, but enough that I had to grapple with rush hour traffic. My husband traveled for work. Not all the time, but enough that his absence was notable. Our two children were at school and our daughter, in particular, had a few after-school activities throughout the week: acting, hip-hop, tap and jazz dancing. All of these activities in the same location, thankfully, but not all on the same day. And not too far from our house, but far enough that the return home was excruciatingly close to dinner time. The household chores were, of course, a constant demand on my time and attention. (Oh, how I longed for our time in South East Asia, and the delights of having home help!) I was responsible for a five bedroom home, two cats and a dog, a garden, a never-ending pile of laundry and two sets of school uniforms that required ironing (ironing! Are you serious, school board?) on a daily basis. But of course, that wasn’t all. I viewed myself as an intelligent and empowered woman and, as such, I had decided that my identity was not going to be limited by the role of mother, wife and housekeeper. There had to be something in this life for me. So I played sport a couple of times a week, I sang in a choir and I attended a weekly musical theater class (which I loved). I was also gradually producing a pilot for a spiritual television show, and hosting the occasional speaking gig on the topic of holistic well-being. Life was full. Life was fast. And I would like to say that life was fulfilling. When the idea of a holiday arrived, it was a slow process. I was often too busy to pay full attention to my thoughts and, certainly, deep reflection was reserved for my random meditations; the hurried stillnesses that I conducted when I felt it had been way too long since my last one. So, it was some weeks before I realized that a simple yearning had crept slowly into my awareness. A yearning that came in the form of one, static image: the view of my own toes, sprinkled with sand, raised to a vertical position and overlooking a peaceful expanse of ocean. Eventually, the yearning transformed into action and a family holiday was booked: five days and nights on Green Island, in the tropical waters of the Great Barrier Reef. Green Island is tiny. It boasts a dashing of native forest, a handful of resort chalets, a crocodile park, stunning snorkeling spots just off the beach, hundreds(literally!) of sea turtles and free sunset cocktails on the sand every evening. And for five glorious days, it hosted my toes — often in a very grateful, vertical position. What the island doesn’t have is crowds, cellphone coverage or internet connection … and I must admit that the fear of being bored flashed across my mind when we arrived. When you’re used to living life at break-neck speed, rest doesn’t always feel like relief. Sometimes, it feels like a torturous nothingness. I wasn’t snappy or impatient, snarling at others (internally or verbally) to hurry up, get out of my way and, for God’s sake, DO. NOT. SLOW. ME. DOWN! I didn’t notice these things had gone, but as we boarded the plane to return to Sydney, I noticed them returning. Steadily. Insidiously. Emphatically. As we flew further south, I became increasingly aware of what needed to happen in the week ahead. My husband was packing to board a flight to the USA immediately; the next day. I had the usual activities to coordinate — my daughter’s and mine — plus a speaking gig booked for the Thursday night. I would have to arrange a baby-sitter and make sure that I had two-night’s worth of dinner prepared in advance. I’d have to cook those meals somewhere between my sport and my son’s dentist appointment, because there was no way I could get that done between hip-hop and choir. My husband’s best shirts were in the ironing pile; I’d dig them out as soon as we got home, after I had taken the garbage bins out, but he would have to iron them when he arrived at his hotel. STOP! NO! I WILL NOT DO THIS TO MYSELF! A few hours’ prior, I had been relaxing, toes vertical, in the warm sands of Green Island … and my body remembered what that felt like. I wanted it back so badly. And I didn’t believe that I should have to live in this horrible, overwhelming, exhausting, adrenaline-fueled state of mania anymore. The changes started as soon as we got home. I cancelled my speaking gig. “So sorry, but this week is not the best timing for me.” I gave my daughter the chance to choose the one activity she loved the most, and I wrote an email removing her from the others. Then, I did the same for me. I looked up a sports team that played weekends, and dropped one of my weekday events. At my first day of work, I approached my boss to discuss how I could work friendlier hours, both to free some of my time and miss a lot of the rush hour traffic. I began to say “no”. A lot. I began to notice the state of my body, and to pay attention to tension and unease. I started stopping off at a small forest near our home, just for five minutes, everyday, on the way home from work. Five minutes where I would just sit and breathe, and acknowledge that the world could function without me for those few, brief moments. I learned how to turn my commute — those long minutes of stalled traffic — into a celebration of solitude. That’s when I would sing my favorite songs, shed any private tears, ponder unsolved challenges or work through any unprocessed emotion. I learned that doing something for me, as an intelligent and empowered woman, can be as simple as paying attention to my truest needs. I learned to prioritize what was most important to me and vital to the well-being of my family. And I decided not to stress over what we could be missing out on if we didn’t follow through on an activity or opportunity. I learned how to lovingly offend people, on occasion, if a scheduled event was looming large and causing me, or my family, stress about how to make it happen. And I learned how to better handle times of inevitable busy-ness and activity. After my husband’s longer work trips, or school holiday madness, or our relocation back to Singapore, I made sure I had time to unwind, refresh and drain the stress from my body. I gifted myself then— and still do, whenever my body tells me it’s necessary — the chance to view my toes, weary and grateful, in some secluded hideaway, and in a definitively vertical position.